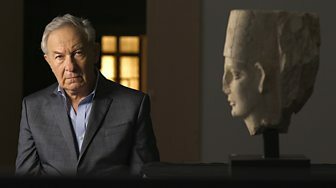 I confess that I have not seen every episode of the BBC/Nututopia series ‘Civilisations’ but I have a few preliminary or draft thoughts that might be worth sharing. The extra S is clearly intended as a kind of rebuke to Kenneth Clark and the makers of his 1960s series which focused on the achievements of European or Western civilisation. The series famously begins with Clark refusing to define ‘civilisation’ but archly saying he knows it when he sees it, followed by a droll pan to Notre Dame. In its day, ‘Civilisation‘ was ground breaking television that spawned a number of genuinely ambitious series authored by grandees such as Jacob Brownowski. There was nothing so ambitious that the once humble medium of television couldn’t tackle it. Now we have a new, very expensive series with an extra S made in a new age of television by an independent company. It has multiple presenters and a global brief. Not just the Sistine Chapel, but Angkor Wat. Not only France but China. But how far has the rather self satisfied new series pushed beyond Clark? Apparently some critics have complained that Civilisations disparages ‘Western Culture’ by including major sequences about non-European cultures. This is, of course, absurd. Civilisation meaning presumably human cultures are universal. Aboriginal Song Lines deserve as much attention as Mozartian opera. There can be no hierarchy of human cultures. This is where for me the first problem with the series arises. We have multiple presenters, but they are all in some way British – not even European. And yet they speak on behalf of any and every other culture in the world. This is both astonishingly naive and arrogant. I am not suggesting that Asians must by default discuss Angkor or Africans celebrate Benin sculpture – but there is a distinct and troubling odour emanating from the series of the colonial collecting and acquisition mania. Colonialism is a word in danger of neutering by a so far over repetitious debate in academia that seems to be inspired by the old 1066 and All That question as to whether an historic event or personage should be considered a good or bad thing. But colonialism can simply be defined as enforced and globalised acquisition. Economic colonialism went hand in hand with cultural colonialism founded on the notion that native/inferior cultures could be collected. The presenters of the series will no doubt be offended to be described as coloial, but the fact is that they and the producers have not been able to avoid not merely cultural tourism but a kind of acquisition. There is nothing they cannot inform us about – and in the sense that knowledge is power – come to own it. The producers whether unconsciously or not emphasise this promiscuous acquisitiveness with romanticised shots of the presenters striding about the many different locations, their silvery locks floating in the wind. They own these places! The brute reality is that no ‘expert’ could possibly possess this apparently magisterial knowledge of every and any historic culture they alight upon. But by merely globalising Clark – which is what this series apparently set out to achieve – the series has simply multiplied its acquisitiveness. So intentionally or not the new ‘Civilisations‘ series became a 21st Century replay of the colonial project. This is reinforced by a formal decision to allow only the presenters’ voices to be heard. No one else is permitted to speak. For me, this makes the episodes gruelling experiences. They are beautifully illustrated lectures. There are no sequences. Music overwhelms natural sound. So the real time experience of watching Civilisations is asphyxiating. I felt I was trapped inside an art gallery with a guide who refuses to allow questions – and devotes any down time to preening in front of whatever they are talking about. The producers of ‘Civilisation’ back in 1968 used Lord Clark in the very same way. He was the sole arbiter and sole voice of the values of western culture. Simply multiplying the number of presenters has not fundamentally changed the game. Finally, what is civilisation? Civilisations takes the easy road to an answer. Civilisation is art history. It’s paintings, sculptures, monuments etc. There is no reference to the fact that civilisation is both more and less than this trail of esteemed masterpieces. Civilisation is the expression of hierarchical power – and reflects the birth of the modern state. It is also embodied in armies, weapons, technologies and the apparatus of political rule. Angkor Wat is not only about ‘faith’ it reflects the power of the Khmer rulers – and inspired the likes of Pol Pot. There is much more to say on this matter but it’s shame that a more complex and less celebratory definition of civilisation was not explored using the spectacular resources on display.